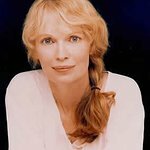 UNICEF Goodwill Ambassador Mia Farrow has been in the world’s largest refugee settlement in north-eastern Kenya to raise awareness of the famine in East Africa. More than 435,000 people are living in camps originally designed to house up to 90,000 in Dadaab, as Somali refugees escaping the famine flood Kenya. “Something huge is happening, and it’s terrible,” said Farrow. "So many of the kids haven’t made it, have died along the way. This is an acute emergency. “The good news is that they are being processed and there will be nourishment for the severely malnourished children. Most of them, I hope, will be saved. For a full report and to watch a video of Mia’s visit, click here.